Exclusive of the office staff, the average number of factory workers is 100 during the grinding season. Cane Handling - One outbound Fairbanks Rodan Series 200,000-lb. low-profile electronic scale was installed in 1990. The inbound scale was replaced in 2002 with a Fairbanks 6010 Series Rodan RC 200,000-lb.-limit low-profile electronic scale. 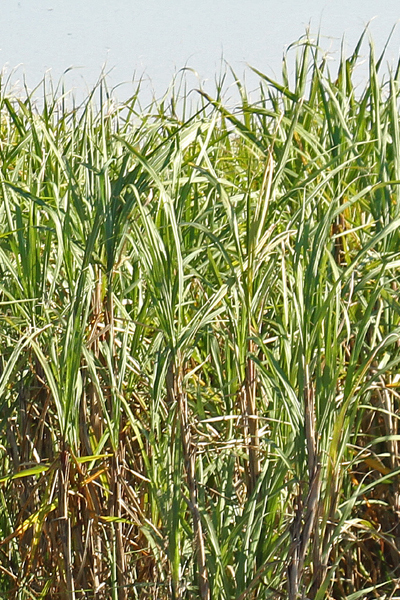 The conventional cane sampling method was replaced by the core sampler method for the 1984 season. One Model X-7000 core sampler with the Model X-8000 cane breaker and the Model X-9000 press, all by J&L/Honiron Co., was installed with a 20� x 40� laboratory. 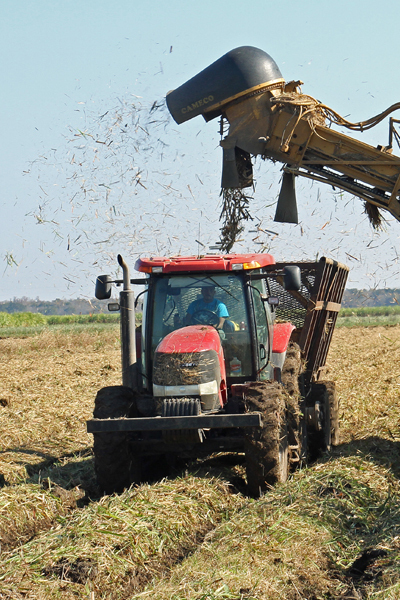 All cane at the factory is handled in bulk with side dumps and chain-net wagons and trailers. One side-dump and one rollover dumper built by Westfield for the 1999 crop unload into a 200' x 200' storage area. In this area, cane is transported to a split feed tables (22' x 57'). A rollover dumper by Honiron replaced the third side dump for the 1998 season to handle billeted cane only. Along with the rollover dumper, a doublewide cane carrier was added to receive cane from the dumper and to deliver the cane to a 7' ft. belt that feeds the main cane carrier. Each feed table is driven by two electric-hydraulic drives. 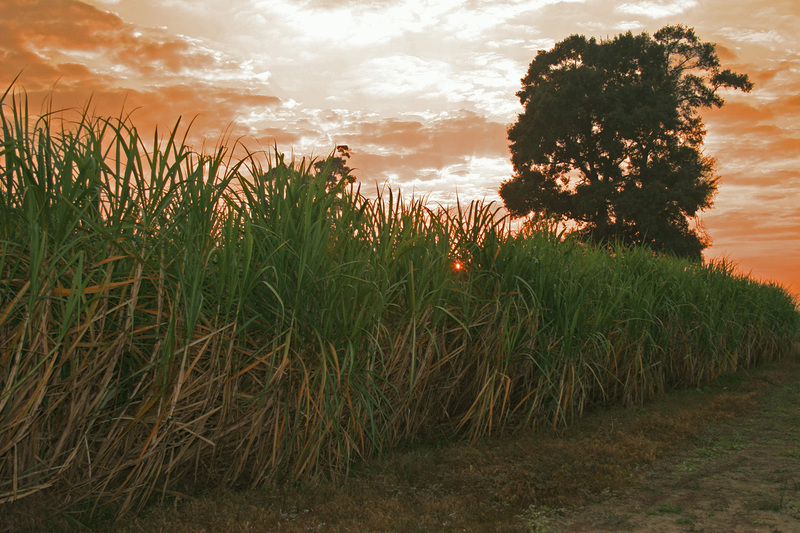 Cane Preparation - Cane is prepared for milling by two sets of knives located in the 7'0" main carrier. Both sets of knives cut about 1/2" from the slats. The first knife set is driven by a 1,700-hp. Murray multi-stage turbine with Falk reduction gear to give a final rpm of 700. The second set was changed in 2006 to a rerated Dresser-Rand 1,000-hp. SST "II" steam turbine with a Woodward PG-PL direct-acting governor. Milling Equipment - Westfield operates an 18-roll tandem, consisting of six sets of three-roll mills, with each mill having a press roll. The first mill is a Simisa design 50" x 84" mill with 45" press roll. This mill has 2" x 35� grooving. All rolls on the crusher are driven by a rebuilt Murray turbine rated at 1,500 hp. 141UV2, driving a GE-S-226 gearbox, 6.72:1 ratio, installed in 2006. This reduction unit is coupled to a Falk 48 x 18 Z3-S triple-reduction unit to bring the 600 rpm down to six rpm. The second and third mills are Zanini-Farrel 42" x 84" mills with 36" press rolls. Both mills have 2� x 40� grooving; and, as a final reduction from 600 rpm down to six rpm, each mill has a Falk 48 x 18 Z3-S triple-reduction unit. The second mill is driven by a Dresser-Rand 880-hp. SST "II" steam turbine, with a Woodward PG-PL direct-acting governor, driving a form �J� reduction gear to reduce the turbine rpm down to 600. The third mill is driven by a 770-hp. Murray four-stage steam turbine, driving a high-speed single-reduction gear. The fourth mill is a 38" x 84" Dibert mill with 18" x 24" journals. It is driven from a Philadelphia high-speed (6:1 reduction) gear and low-speed (100:1 reduction) gear by a 770-hp. Murray steam turbine. The fifth mill is driven through steel cut gears by a 770-hp., four-stage steam turbine designed to operate on 180 psi 80� superheat, 10-psi gauge exhaust. Mill turbine is designed to develop 700 hp. at 3,461 rpm with one hand valve open. The hand valves are provided primarily to give high starting torque as well as additional horsepower. Turbine is connected through high-speed flexible coupling to a high-speed single reducer � service factor 1.5, high-speed gear reducer having a ratio of 5.86:1. The sixth mill is a Simisa design, 50" x 84" roll sizes with 45" press roll. A Falk 49 x 18 Z3-S triple-reduction unit was installed in 2004 with 1100T70 coupling to a Falk 447ZH2-S high-speed reduction gear unit, which is connected through flexible coupling to a 500-hp. 142 UV3 turbine. This turbine was increased to 820 hp. for the 1996 season, and in 2004 was rerated again to 1,200 hp. Mill Roll Grooving - All mills have 2" pitch 35� grooving. One Riley, 70,000 lbs. steam per hour, water-walled, two-drum boiler, installed in 1961. One Riley 100,000 lbs. steam per hour, water-walled, two-drum boiler with inclined steam clean grate, installed in 1983. One Bigelow, two-drum 100,000 lbs. steam per hour, with C.E. stokers. Three Combustion Engineering bent- tube 5,500 sq. ft., 43,000 lbs. steam per hour boilers installed in 1952, 1955 and 1958 respectively. One Alpha, 150,000 lbs. steam per hour, inclined grate, three-drum boiler, installed in 2000. Electric Plant - A 800 kW generator driven by a 1,000-hp. Terry turbine delivers a portion of the base load of the plant. Clarification - One shell and tube heater with 18 passes and 50 tubes per pass, installed in 2014 with 9,424 sq. ft. of heating surface is used as a First Stage Heater running on V2. Second-stage heating is accomplished by three 4,000 sq. ft. shell and tube heaters running on V1. In 2002 Westfield installed two plate heaters by Alfa Laval. The first juice heater has 84 stainless steel plates; the second has 104 stainless steel plates. For limed and heated juice, the mill has two 20�-diameter five-tray clarifiers. A 30' four-tray Graver clarifier was added in 1998 for more capacity. For clarifier muds and scums, Westfield has one 8' x 14' Oliver-Campbell rotary vacuum filter. An 8� x 14� Eimco rotary vacuum filter was converted to screen filter for 1967. A 10' x 14' Eimco belt was converted to screen filter in 1983. A 12' x 22' Eimco rotary vacuum filter was installed new in 1999, and a 10� x 20� Eimco rotary filter was installed in 2011. Bagacillo for filter is obtained from a pneumatic system that draws bagacillo from the bagasse carriers. Evaporation - There are three parallel triple-effect evaporators, connected for alternate or simultaneous operation as required. In 1974 Westfield installed new triple-effect evaporators, 14'-diameter, 12,360 sq. ft. heating surface with 1-1/2"-diameter x 72" tubes, built by Nadler. In 2006 a triple-effect was installed. The first body is 15'-6", and the second and third bodies are 13'-0". An 18'-diameter evaporator with 7,250 tubes, 1-3/4" outer diameter x 90-1/2" long, for 25,000 sq. ft. of heating surface (built by Nadler, Inc.), was installed new in 1987. It is used as a pre-evaporator. A new Honiron 30,000 sq. ft. evaporator was installed in 1997. This evaporator - 20� in diameter with 8,734 1-3/4� outer diameter x 7� 6-1/2�-long tubes � is set up in a series ahead of the 25,000 sq. ft. evaporator. In 2002 Westfield installed an Alfa Laval plate evaporator with a heat transfer area of 11,000 sq. ft. This unit consists of 285 stainless steel plates. The heat exchanger is arranged for single-pass flow. Vapor bleed is used for the plate heater and the continuous vacuum pan. A new 2,000 cu. ft straight-side pan by Nadler was installed for the 1984 crop. This pan has a 4,200 sq. ft. heating surface with 1,308 3-1/2� outer-diameter x 3� 6-1/2�-long copper tubes and 6�-diameter downtake. It also has a mechanical circulator and automatic feed valve. The sixth pan, installed for the 1996 crop, is a 2,500 cu. ft. straight-side by Nadler. It has 5,500 sq. ft. of heating surface with 1,714 copper tubes that are 3-1/2� outer diameter x 3� 6-1/2� long and a 7� 3�-diameter downtake. This pan has a W- shaped bottom and no mechanical circulator. It is equipped with an automatic vacuum pan and feed control. In 2001 Westfield installed a 3,000 cu. ft. eight-section continuous vacuum pan for �C� duty. It was the first Honiron/Skil pan to be installed in the United States. In 2011 a 3000 cuft batch pan (6,547 sq. ft. of heating surface) was installed primarily for A Sugar. 12,000 gpm Aurora pump (14 x 16 x 18), turbine driven. 8,000 gpm Flowserve pump (14-LN-17), turbine driven. 13,000 gpm Flowserve pump (16-LN-23), turbine driven. 20,000 gpm Goulds pump (30 x 30), turbine driven. 6,000 gpm Peerless pump, turbine driven. 2,500 gpm A/C pump, turbine driven. 2,000 gpm Peerless pump, diesel driven. 2,000 gpm Buffalo pump, electric motor driven. 400 gpm Buffalo pump, electric motor driven. Pan Supply Tanks - A and B molasses tanks, 35,000 gal. each and made of Cromgard stainless steel, were installed in 2010. Crystallizers - The factory has a total of 12 single-compartment crystallizers, each equipped with Dyer-Blanchard type coils. Added two crystallizers and made continuous in 1976. The crystallizers are driven by individual two-hp. U.S. Synchro gear motors. Output speed of motor-reducer is 37 rpm, with final reduction through double-reduction steel-cut gears and pinions. Crystallizer shafts turn 2/3 rpm or 40 revolutions per hour. In 1988 this was further reduced to 10 revolutions per hour through a set of gear belt pulleys. An 8,000 cu. ft. vertical crystallizer (Silver Weibull design, constructed by D.B. Doran) was added in 2001 along with the installation of the continuous vacuum pan. A 4' x 25' Stevens coil reheater was added for the 2000 season. Centrifugals - Westfield has nine Western States 48" x 36" automatic batch machines, one Silver-Weibull 57� x 42� x 10� Model 1500 high-grade centrifugal, and two Western States 1750 Titan high-grade machines. For low-grade or crystallizer sugars, the mill has three Silver 4630s and one Western States 1100 continuous machine. 1,000,000 gal. (88� diameter x 22� high), installed in 1999. 2,000,000 gal. (133� diameter x 24� high), added in 2000. 750,000 gal. (75� diameter x 24� high), added in 2011. There is a Fairbanks-Morse automatic continuous belt scale for weighing production from centrifugals to storage bin or to warehouse.